More and more people are choosing to hire a car from the airport for their holiday, so we thought we’d publish instructions on how to get to your chosen resort from the airport. But here’s a way to download Google Maps to your phone without roaming. 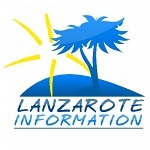 Download Google Map of Lanzarote. From the Terminal 1 top floor car park at Arrecife Airport in Lanzarote, make sure that your car park ticket is validated and paid before driving to the barrier. Approach the barrier slowly so that the car registration number can be read, then insert your ticket into the machine and the barrier will lift to allow you to exit. Look to your right to make sure both lanes of traffic are free before exiting and as you go around the first corner move to the right hand lane for Arrecife / Yaiza/ T2, continue on this road staying in the right hand lane, the next sign is Todas Direcciones / T2. The road then splits left or right, you want the right hand lane marked Ciudad / T2 which will take you to a roundabout for Terminal 2. Stay in the outside lane, ignore the exit for the petrol station, T2 and the cargo centre looking out for the exit marked Arrecife / Yaiza. You have to be ready at this point as to which direction you want, the signpost says Pto del Carmen / Tias / Yaiza which is straight on and Arrecife which is an immediate turn right. For Puerto del Carmen follow straight on for Pto del Carmen. Take care, this road circles around to join the main dual carriageway (LZ-2), you are going to join traffic moving at speeds up to 100 km per hour, they will not give way to you, you must wait until there is a gap before joining the flow. Almost immediately you need to move over to the left hand lane signposted Puerto del Carmen and take the slip way over to the left, wait at the slip road from the airport until you can see a big enough gap to make this manoeuvre. Drop your speed back to 50 km per hour when you’ve joined the slip way for Puerto del Carmen (LZ-40), as you come around the bend you should see Inde Lasa on your right and two petrol stations up ahead. Just past the stations and go karting track there is a right hand exit which you should take if staying in the Matagorda area of Puerto del Carmen. If you don’t want Matagorda, continue on along the LZ-40 until you can see the theme park Rancho Texas ahead on the right. The Rancho Texas exit is the main junction for the resort of Puerto del Carmen, take this right hand slip road and go around the roundabout under the bridge and straight on at the next roundabout, this road brings you to “The Strip” running along the sea front, if you’re staying in the Playa Los Pocillos area turn left otherwise turn right to pass along the front to Playa Grande and the Old Town. If you are still on the LZ-40 road from the airport, there are a further two junctions for Puerto del Carmen, the third exit is for the Old Town area, this junction will bring you on to Juan Carlos where the Biosfera shopping centre is situated. The fourth exit and end of the LZ-40 is a roundabout where you can go left to pass through Los Mojones and back to the old harbour area of Puerto del Carmen. If you’d like to take the scenic route, we would suggest that you take the first turning for Matagorda, there are two roundabouts, take the first right exit at both and just drive along the main Avenida de Las Playas (The Strip), accommodation complexes and hotels are sign posted off this road in yellow. You’ve arrived at the resort of Puerto del Carmen, now you just need to find your accommodation! 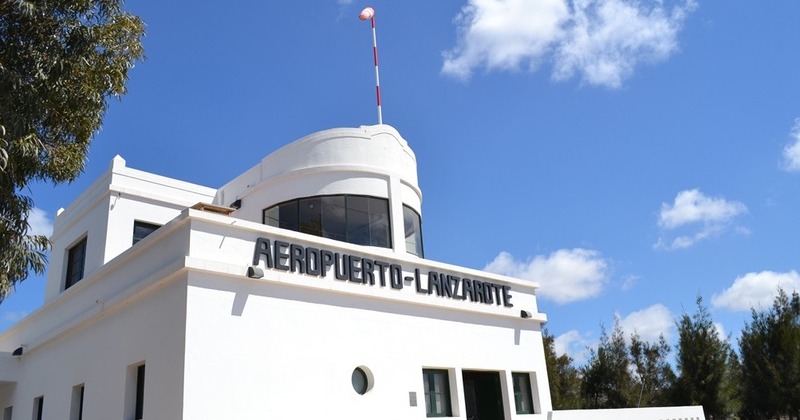 Using the Lanzarote distance table it is 9 km from Arrecife Airport to Puerto del Carmen. For Costa Teguise follow for Arrecife, turning right onto the slip way. Caution now! Traffic will not give way to you, you must wait for a gap in the oncoming traffic before accelerating to leave the slip way. You are joining a dual carriageway (LZ-2) towards Arrecife and the traffic is travelling at speeds up to 100 km per hour. Once you have joined the traffic you will pass the Deiland shopping centre on your right, just up from here is the only fixed speed camera on the island. Look ahead, where you can see the petrol station on the right you need to be in the left hand lane as the road splits off to the Circunvalación (LZ-3) Arrecife ring road. Take this turning left onto the Circunvalación. It’s weird, because you are leaving the main road from the overtaking lane. Stay on this road, each junction has two exits, keep following for Pto Los Mármoles (port) past two junctions then you will see a petrol station on each side of the road and Ikea is now visible on the right. Follow the exit for Costa Teguise, and you will come to a roundabout – take the second exit and you are on the main dual carriageway into Costa Teguise. You’ve arrived at the resort of Costa Teguise, now you just need to find your accommodation! Using the Lanzarote distance table it is 16 km from Arrecife Airport to Costa Teguise. Next, you’re going to pick up the sign for Yaiza, which will mean going under the carriageway and joining the main road via the slip road. Stay in the right hand lane, as traffic in the left will be peeling off to Puerto del Carmen. You’ll by pass Tias, at the top of a long hill, and then just stay on the main road, across a few roundabouts (look out for the camels on one!) and you’ll by-pass Yaiza and Uga. You’re now on the main road to Playa Blanca, so just stay on it and you’ll eventually arrive at a roundabout at the end of the long road. Depending on where your hotel is, you’ll either turn right at this roundabout, or go on to the next and then turn left towards the marina. The distance from the airport to Playa Blanca is about 29KM. Have you booked your car hire yet?